We invite you to join us for a circle of sound. 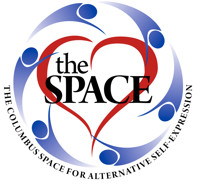 At the Columbus Space drum circle everyone is welcome whether you make music, dance, or just listen. A drumming circle or a drum circle is a group of individuals who are creating and sharing a rhythmical, melodious and a harmonious experience. No experience is necessary. The primary instruments used in a drum circle are hand held drums, but other instruments may also be used as well. tibetan chimes & singing bowls, quartz crystal singing bowls, shakers, rattles, --- all sacred instruments of the earth are welcome! We work with both improvisation and traditional rhythms. We are always willing to learn and experiment with the rhythms that come into our circles. **No need to register - just show up! **We are meeting at the Space, which is for 19+ years old only. **$5 to $10 suggested donation.